Classical Music. Classical music has been show to increase the rate of development of synaptic connections in young children's minds. It also helps fuel creativity and enhance joy in adults. Classical music can even help address physical ailments like high blood pressure and muscle tension. 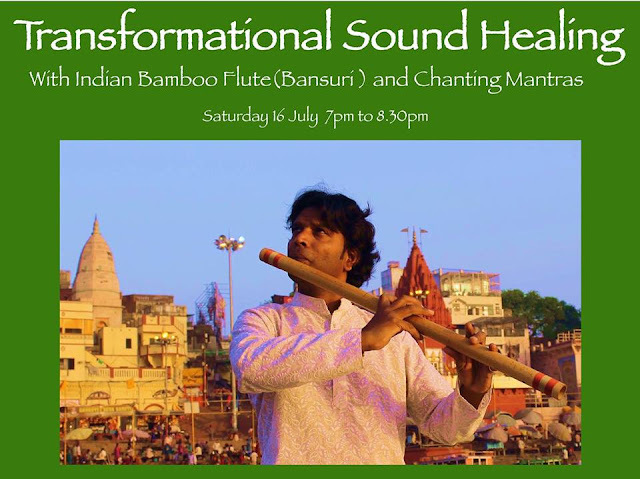 Vinod Prasanna is a Master of Indian Classical Music & has studied music from 7 years of age in Varanasi. Vinod connects to a powerful sound frequency enabling you to connect to your heart. The evening will start with a deep meditation, you will then be taken on a transformative journey, where you can connect with Divine energies. You will experience pure healing frequencies.